One World, Two Wheels & A Priority we Sometimes Miss. India has an uncanny way of reminding you just how infinitesimally small you are. Whether you’re standing in a swirling sea of humanity on a train platform, or at 5,600 metres at the roof of the world, it’s that feeling of being one element connected to a limitless world and part of an infinite universe. Coasting down the north side of the highest motorable pass in the world, the Kardung La, and crossing from the Indus Valley, the cradle of civilization, into the remote reaches of the Nubra Valley, I am but a tiny spec on a bicycle, snaking along the ridges of the magnificent monsters of the Himalaya’s Ladakh Range. The landscape is unlike anything I’ve seen; the monstrous rolling rock faces cascading hued waves of brown and red like a blanket draped over the valley walls, crystal white glaciers flowing in to fill its contours as icing melts in to the grooves and crevices of a cake. 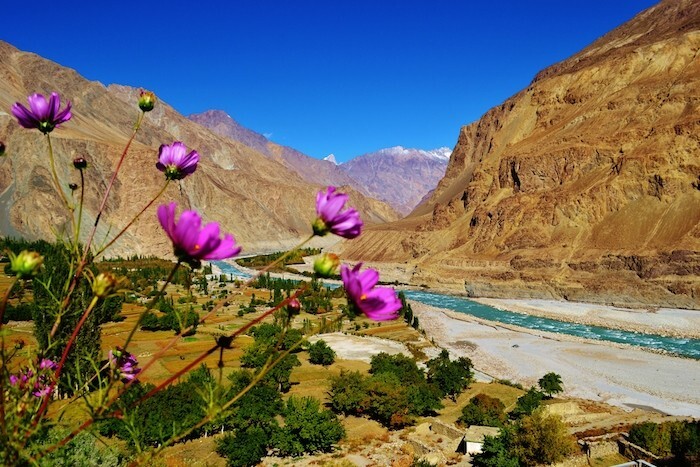 The dry desert mountains gradually descend to a fertile bed of greenery, a fertile patchwork quilt laid upon the narrow basin of the Nubra River, as they reach the flowing waters that chiseled and nourish their untarnished valley. The sheer grandeur of the curtain of rock rising along the length of the valley cannot be captured by words, pen, or camera. Experiencing this from the seat of a bicycle has been the most awe-inspiring, terrifying, thrilling, and empowering experience of my life. Entering one of the most remote corners of India without the security blanket of a jeep or guide and diving literally head on into the highways that used to terrify me even from the window of a bus, has given me a new confidence in my own self competence in travel, and a delightful enthusiasm to carry it forward. When you are so immersed in the elements of where you are, you have no choice but to be completely and utterly in the present moment. With gravel and army trucks passing you in both directions along a ten foot wide road, hugging a cliff side and dropping a thousand meters below, all you can do it concentrate on navigating the wheel in front of you through the snow, sand, mud, boulders, gravel, and whatever else the path and it’s fickle temperament throw your way. When you enter that vacuum of attentive clarity, it’s almost as though you cease to exist. For me, this was a means to an unexpectedly deep, meditative experience, where nothing existed but the exact moment of gravel crunching beneath my own two wheels. The goal of meditation isn’t to empty your mind; it is to be present in a moment where nothing exists but right here, right now. I believe that doing whatever engages you enough to bring you to that level of awareness is your own path to meditation, and that is ultimately why doing what you love is the path to joy. It’s too easy to neglect our passions that we don’t deem “productive,” but what if you knew that doing what you love would infinitely improve your life, relationships, happiness, and even productivity—would we deem it valuable enough to prioritize it? My week’s manifesto in a few words: do what you love, it totally works. 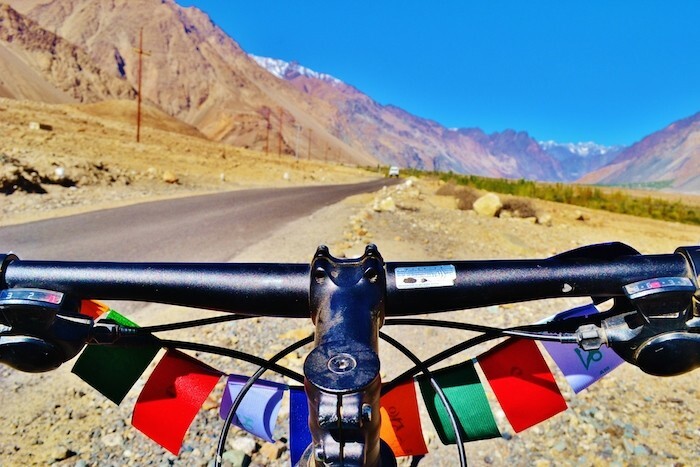 5 Things to Know (& Love) About Bicycle Touring. Allison, awesome article! Very inspiring. I haven't done much travel but would love to do something like this. Do you know of any travel companies that would provide tours of experiences like this? Allison, you stirred me up with this article, I did go to Ladakh -must be forty years ago !, I loved the landscape, the air,and the people. but a little bored with my daily routine !. 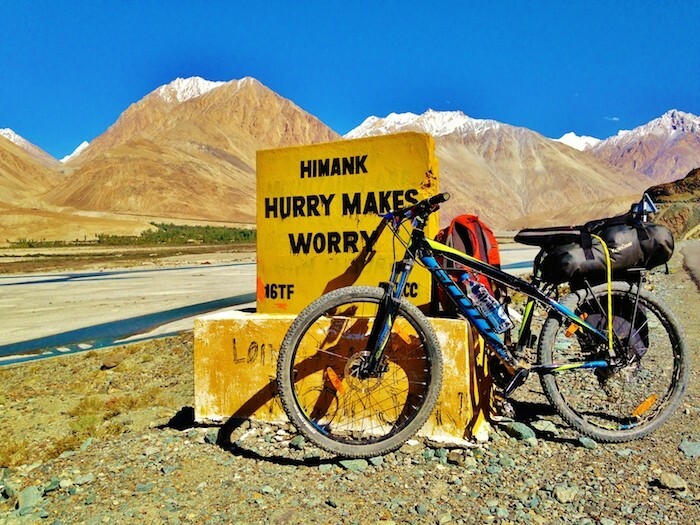 I was in envy of the peace and tranquillity you would have experienced cycling along those wide open landscapes, no hurry to get anywhere,-tent in your pack,-food enough to last, a wash in the cool mountain waters—ahhh!. 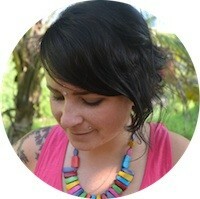 Allison Flach is a writer, educator and social justice enthusiast raised in Calgary, Alberta. With a background in International Development and Education, Allison’s passion lies in women’s education, community development, and endlessly exploring the world. Allison currently spends half the year in Calgary teaching English, and half the year in India, guiding curious minds through the wonders of the subcontinent. She drinks coffee in the morning, turmeric milk before bed, and will be found on the beach or in the woods hiking, writing, yoga-ing, and forever dreaming. Visit her website.